Happy New Year’s Eve to all of our blog family. We will be spending New Year’s Eve at home this year — preparing for our annual New Year’s party on January 1st. 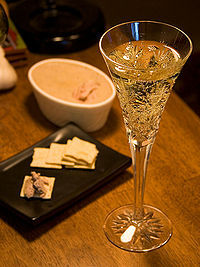 I will be toasting to everyone on our extended blog family. 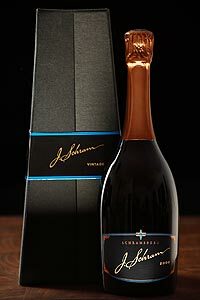 Tonight Leslie and I will share our traditional bottle of Schramsberg Sparkling wine. This is my wedding anniversary. Thirteen years ago, Leslie and I eloped on New Year’s Eve after eight years years of dating. (There is an ongoing dispute over calculating the event, I insist that this is our 22nd anniversary but Leslie insists on not counting the eight years of dating). We always celebrate with a bottle of Schramsberg. This was the bottle I bought after we got hitched at Alexandria City Hall. I used my house school ring to seal the deal. The kids made it to midnight and watched the painful display of Anderson Cooper trying to restrain Kathy Griffin. It turns out the Mayan Apocalypse merely predicted Griffin’s appearance on New Year’s Eve. This included her attempt to throw cash into the crowd – a moronic idea that had to be physically stopped by Anderson to avert a disaster. If this was Griffin’s idea of a joke, it came across as an unhinged, unfunny person trying to fill time. The kids insisted that we turn to NBC instead. We are expecting 200 friends to share in Wasabi Bloody Marys) and our traditional soup: The Bowl of the Wife of Kit Carson Soup. I have smoked two turkeys to put into the soup. I also have enough Wasabi to light up Tokyo. Everyone drive carefully and have fun. I will be giving a toast to our entire blog family tonight (and, of course, my marriage). “If you were a US leader, or an official of the National Security State, or a beneficiary of the private military and surveillance industries, why would you possibly want the war on terror to end? That would be the worst thing that could happen. It’s that war that generates limitless power, impenetrable secrecy, an unquestioning citizenry, and massive profit. Just this week, a federal judge ruled that the Obama administration need not respond to the New York Times and the ACLU’s mere request to disclose the government’s legal rationale for why the President believes he can target US citizens for assassination without due process. Even while recognizing how perverse her own ruling was – “The Alice-in-Wonderland nature of this pronouncement is not lost on me” and it imposes “a veritable Catch-22” – the federal judge nonetheless explained that federal courts have constructed such a protective shield around the US government in the name of terrorism that it amounts to an unfettered license to violate even the most basic rights: “I can find no way around the thicket of laws and precedents that effectively allow the executive branch of our government to proclaim as perfectly lawful certain actions that seem on their face incompatible with our Constitution and laws while keeping the reasons for their conclusion a secret” (emphasis added). Why would anyone in the US government or its owners have any interest in putting an end to this sham bonanza of power and profit called “the war on terror”? Johnson is right that there must be an end to this war imminently, and Maddow is right that the failure to do so will render all the due-process-free and lawless killing and imprisoning and invading and bombing morally indefensible and historically unforgivable. KG: It’s fair to say that the United States should probably not be lecturing other countries about how they protect human rights or how they protect civil liberties, especially when many policies in the United States are not really good policies of their own. They are not protecting the civil liberties of US citizens, and they are not protecting the human rights of US citizens. Refined does sound better Mespo! mespo, No, we’re all getting old, one of the undeniable truths. We adapt and move forward. Or, we become curmudgeonly old men flatulent and unshaven..scaring young children. I’m visualizing Aqualung! Then prove you’ve won more arguments than you’ve lost. The main point is that what Mike said isn’t a generalization applicable universally. It applies only to those who don’t argue properly or well. Some people argue quite well. Some people are professionally trained to argue. It’s a skill like any other skill. Some people can design a water treatment plant (also a skill) and some people can argue a rock into gravel. No one is good at everything although some are better at more things than others. Created equal is not the same as equally created. But you shouldn’t be upset because you loose more than you win (and I’m talking as a purely objective statistical matter based on evidence of your past applications of evidence and logic). It’s not what you are trained to do. I’ll say it again . . . winning and losing isn’t important in the marketplace of ideas, Bron. It’s the game that counts. You get an A for effort. No. I know that is a fact. That is why I stated it as such. That is an opinion. A subjective one I might add. Based on political orientation. And the vociferous proclamations of the opponent. There you go with your impeccable logic again. Right you are. Do you need some reinforcement? Just like it’s a fact you’ve lost a lot of arguments.